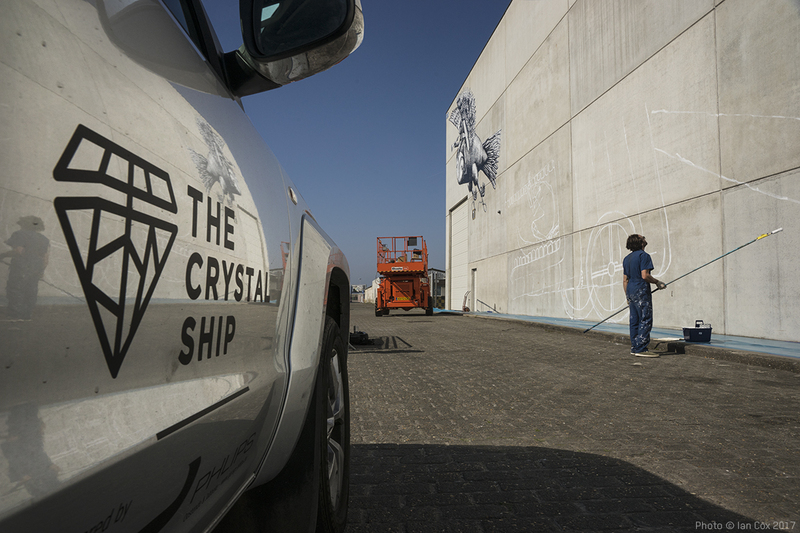 On the 1st of April, the second edition of The Crystal Ship Festival officially started in the Belgian coastal city of Oostende. 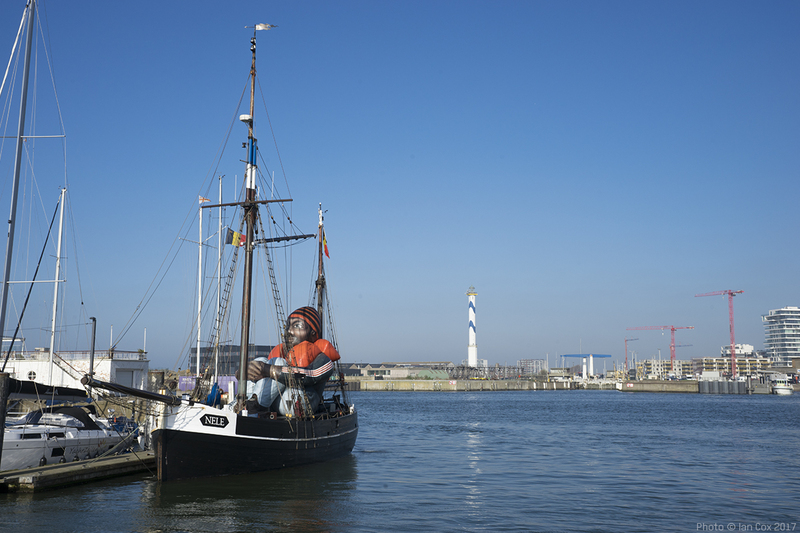 The launch of the event was marked with the arrival of the six meters tall Inflatable Refugee sculpture by Belgian art collective Schellekens & Peleman (seen above). 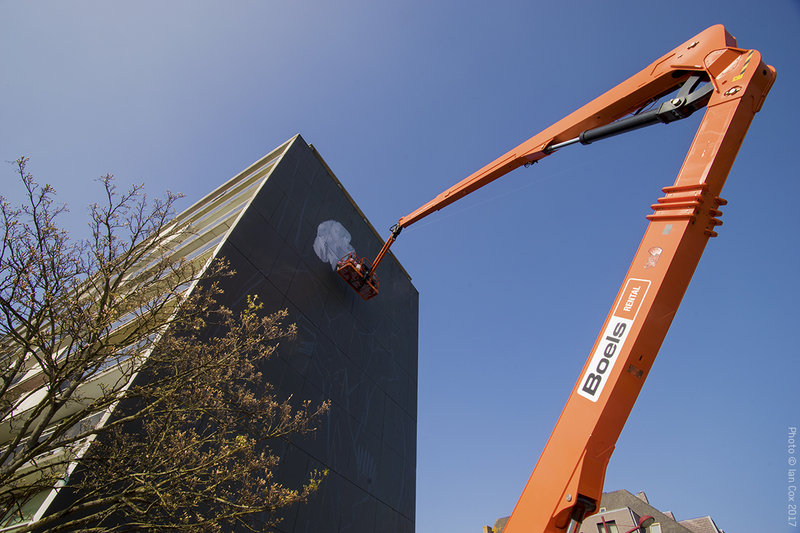 This striking piece balancing on the border of public art, dadaism and interventionism, has travelled around Europe, from Denmark to Venice. Its arrival at Oostend’s Montgomery Dock is a continuation of the artists’ efforts to raise awareness about the migration crisis and to make observers reflect on society with an imposing inflatable sculpture depicting a life-vest wearing refugee, made from the same material as the boats used by human traffickers. 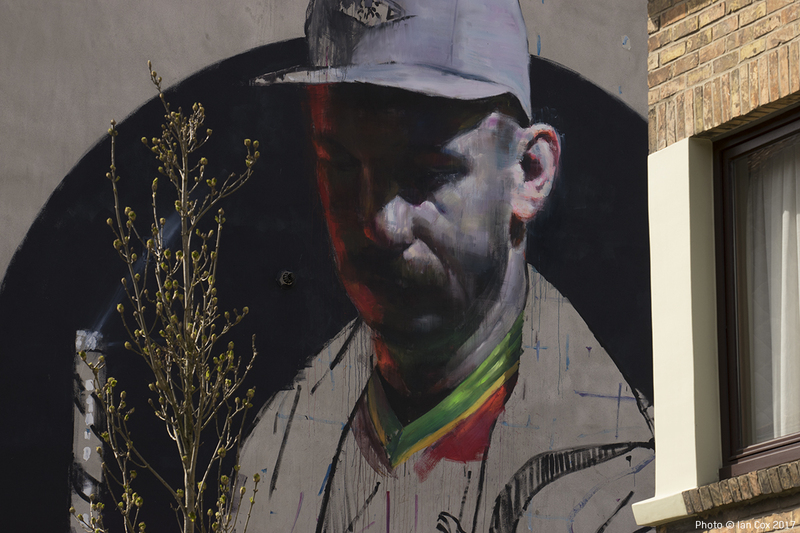 Such a grand opening gesture guarantees the urban art festival will be slightly different than similar events organized worldwide, and their strong lineup curated by Bjørn Van Poucke, surely confirms that. 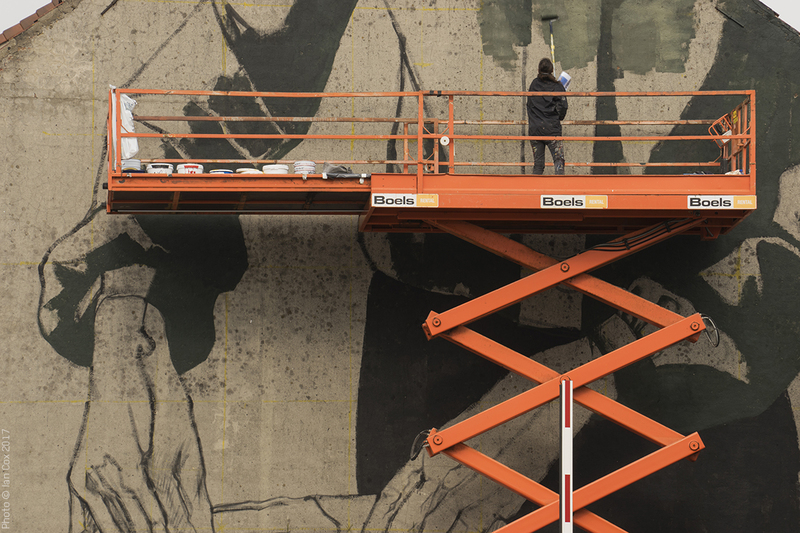 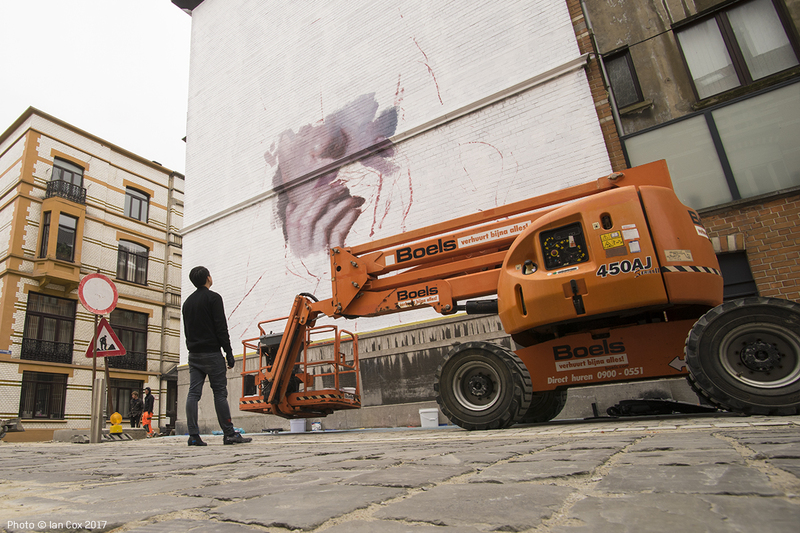 This year’s edition will produce a series of public works by 20 international and local artists such as Alexis Diaz (PR), Axel Void (US), C215 (FR), Hyuro (ES), Henrik Uldalen (NO), Phlegm (UK), Sebas Velasco (ES) and many more. 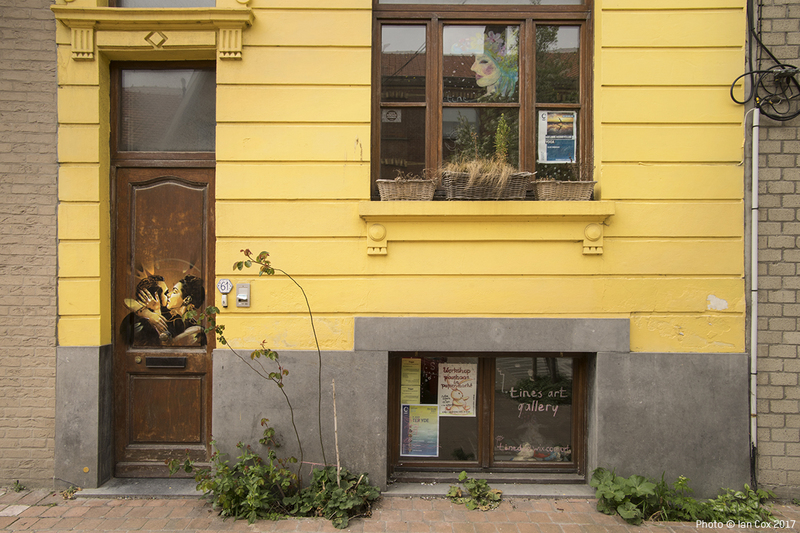 We’re bringing you a first quick photo report from the streets of Oostende captured by Ian Cox. 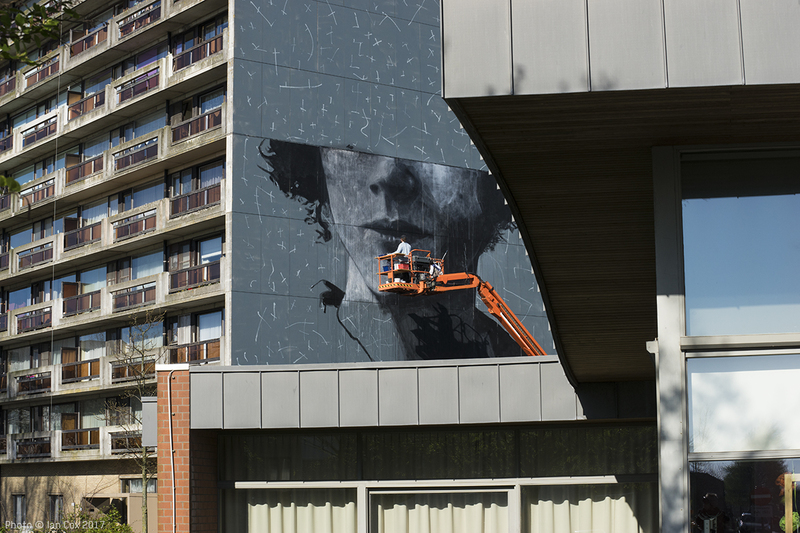 Categories: Seen on Streets, Shows & Events, Street & Urban Art. 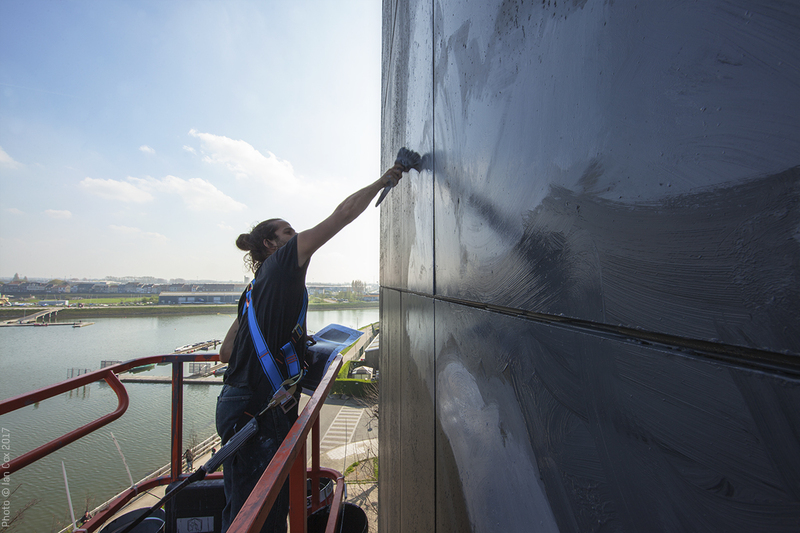 Tags: Axel Void, Belgium, Bosoletti, C215, Henrik Uldalen, Hyuro, Phlegm, Schellekens & Peleman, Sebas Velasco, Shows & Events, Street & Urban Art, The Crystal Ship, The Crystal Ship 2017.